Welcome to the Online Support Portal for the LiveViewGPS Live Trac Platform. Please use the links on the left to navigate through this support site's various pages. Map Systems, Devices, API access, Public View Set Up (No password required for login), etc. Live Trac devices all contain GPS tracking chipsets, which get their position from GPS satellites. Device position is extremely accurate, it common to see accuracy levels to 12 inches, like a vehicle parked in a particular parking spot in a shopping center. 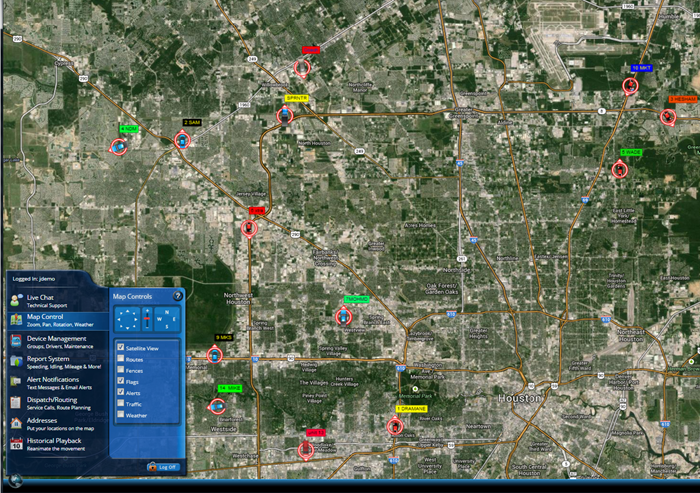 All Live Trac devices send wireless position data back to our servers on the ATT Data Network. View Domestic Coverage for the United States, Alaska, Hawaii & Puerto Rico. International Coverage: LiveViewGPS Live Trac also works in the following 180+ Countries. If you plan to use your LiveViewGPS Live Trac GPS tracker for international use, let us know, so we can enable service (send us your device serial #, and account login id please). There is no additional charge to use any Live Trac device(s) internationally. Regular Office Hours: M-F from 7 am to 5 pm PST. Tech Support is available on Saturday, from 9 am - 4 pm CST. Check your activation email for this particular phone number. We are here to assist, if you need help, please e-mail: support@liveviewgps.com. Thank You For Your Business. The LiveViewGPS Support Team.